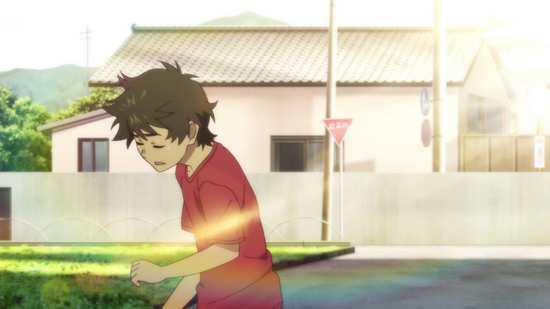 It hasn’t been long since I was talking about how well Your Lie in April compliments March Comes in Like a Lion, but it seems All the Anime are already one step ahead of me. 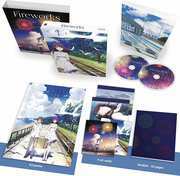 Alongside their releases of March Comes in Like a Lion this autumn, they are also releasing the Fireworks feature film, and just like the series, it’s from studio SHAFT, and it’s also directed by Akiyuki Simbo. 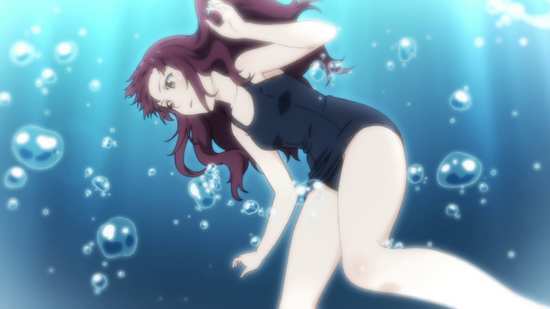 It’s a teen angst, coming of age drama with a bit of a sci-fi fantasy twist, and it should be just the sort of thing that I look for in anime. Well, this is certainly a pretty film. The 1.78:1 widescreen transfer has no issues to my eyes, other than one or two moments of shimmer on fine detail. Otherwise the transfer is a good one, clear and sharp, a warm colour palette, and no visible compression. The issues come with the source material. I’ve read on a forum somewhere that like many anime, there are differences between the initial release version and the home video release, as animators get the chance to go back and fix early goofs. It appears that GKids, who mastered this disc, have used the theatrical release, not the Japanese home video release. There are scenes where the 3D CG elements don’t quite fit in with the 2D, while some of the facial animation (especially Norimichi early on) looks rather strange and exaggerated. 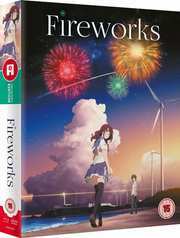 It’s disappointing as Fireworks is a beautiful film. You have the choice between DTS-HD MA 5.1 Surround English and Japanese, with optional English translated subtitles, a signs only track, and a somewhat rare dubtitle track to complement the English dub for hard of hearing viewers. You also get a French subtitle track. The problem with the subtitles is a familiar one if you ever get one of these Anime Limited English/French co-authors, that of a white font with single pixel wide black borders, which is so easy to lose in busy backgrounds. I had to skip back on more than one occasion. The audio is fine, immersive and effective, with a very nice music soundtrack that enhances the romantic aspects of the story. The English dub is also a rarity in that the characters have been cast for age, with mostly teenage actors in the roles. The subtitles are accurately timed and free of typos, but there are no lyric translations for the end theme song. The disc boots to an animated menu. You get the trailers for the film, and a short featurette, Behind the Scenes with the English Cast, which runs to 10:46. I don’t like fireworks, the exploding kind that is. I loved them as a kid, I think all children do, but now I’m a grumpy old fart about it. You’re literally just burning money, all for a few minutes of pretty colours, bright lights, and a racket that terrifies most pets, and then afterwards you’re left with a mess to clear up, and the smell of rotten eggs. You probably know where I’m going with this analogy. The movie Fireworks is certainly pretty to look at, but the sensation I had as the end credits rolled made me want to wrinkle my nose. It has a meandering story that takes an age to get going, even in a film that’s only 90 minutes long, it lifts its significant plot device from a better, far more successful movie, and it’s populated by a cast of thoroughly unlikeable characters. 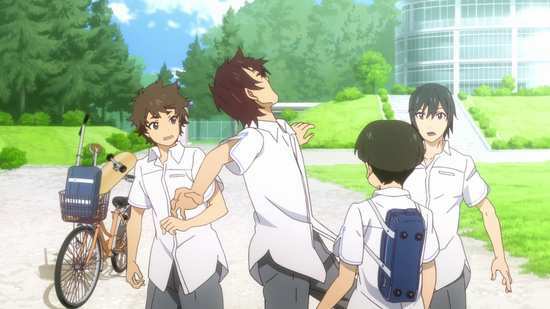 You get an idea of the nature of the characters when you meet Norimichi and his friends on their way to school, talking about sexually harassing their teacher. Her breasts seem to be of particular fascination for one of them. Norimichi is better than that, he’s wishy-washy and indecisive, and in one respect the story acts as a rite of passage to see him through that phase. These aren’t friends as you’d expect them to be in the story, they are only friends to hang out, and you do wind up wondering whether they even like each other. Nazuna’s the object of affection for Norimichi, and as such is the closest you get to a ‘perfect’ character in the film, although at the start of the film, it’s revealed that her family is leaving town, and she wants to have one adventure before she leaves, preferably with Norimichi. Her mother is getting remarried, is totally selfish about her feelings, and Nazuna has to toe the line no matter what, even if she has to be dragged. As for Nazuna’s new step-dad to be, he’s the kind of guy who punches kids in the face. These are the kind of characters that demand intervention by social services, a little too ‘real’ for what is meant to be a romantic fantasy film. It takes about half an hour for the film to actually find its plot. It’s a rambling start, with Nazuna’s melancholy, and her discovery of a blatant plot device early on enough for you to forget about it by the time it’s relevant again. 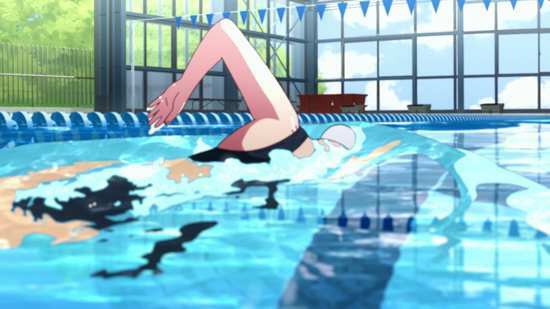 There’s the swimming pool encounter, where Nazuna decides on who she’ll ask out by seeing whether Norimichi or his friend Yusuke will win a swimming race. And of course there is the big debate between the friends whether explosions are 2 or 3-dimensional. 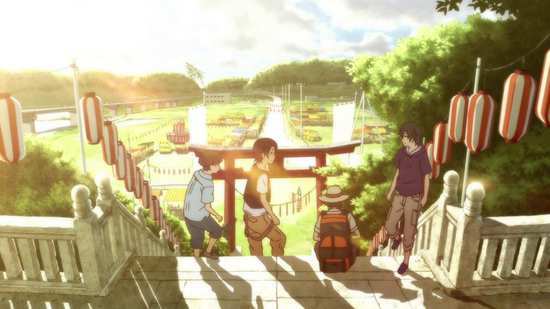 It’s half an hour before that blatant plot device comes into play, and you are sorely tempted to eject the disc, and get The Girl Who Leapt Through Time Blu-ray to watch instead, or at least I was. 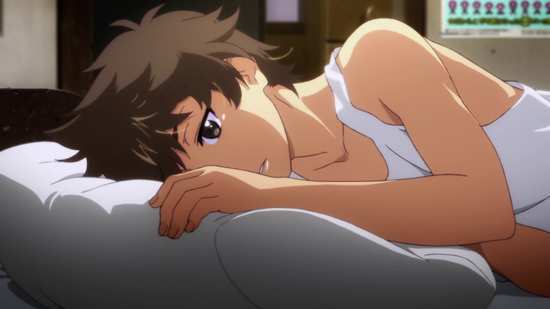 To be more accurate, this is more The Boy Who Leapt Through Dimensions, as he tries in vain to find a reality where he can get his happily ever after. In the end it’s all wrapped up with an inconsequential and unfulfilling bow. The story is derivative, and I found the characters mostly detestable. Fireworks’ only saving grace is just how good the film looks (and that’s only when the animation isn’t borked), but eye-candy is never enough; otherwise I’d be singing the praises of the live action Casshern!